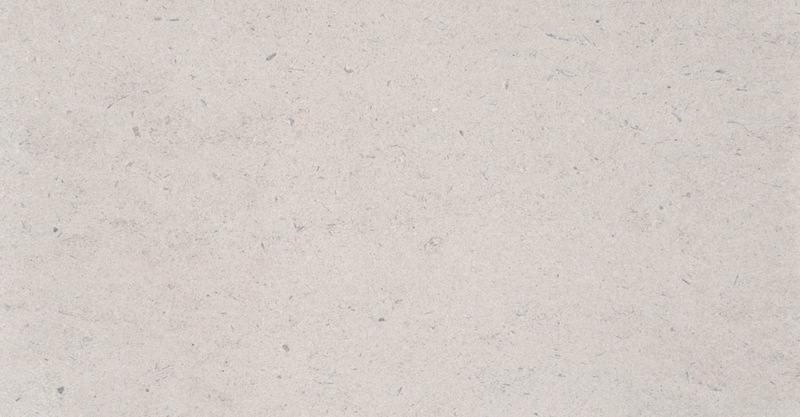 Perryfield basebed is a tightly grained stone with very little shell content, similar in looks to the whitbed, but with a slightly more buff colour. It is suitable for most applications as a general building stone, but not recommended in exposed areas such as paving and copings. Carvers highly regard this Portland stone due to the low shell content, and it is used primarily as a monumental stone. Basebed is frequently being used internally for paving in both high quality office developments and private residences. Unlike all the other Portland quarries where beds of 1 metre high or more are the norm, the bed heights for basebed are 550mm high maximum. We have extensive stocks of this stone with blocks typically from 1 tonne upwards to 8 tonnes. Portland oolitic limestone principally formed from micritic ooids in a sparse micritic matrix, the stone contains many shell fragments in the size range 1mm to 5mm. Some compaction of the ooids is present but the matrix exhibits moderate intergranular porosity with interlinking of pores. No clay or other minerals are apparent. Please see test data for values. Perryfield whitbed is known to be a durable building stone and has been used extensively within the United Kingdom and in Belgium. It exhibits a low saturation coefficient, good strength and resistance to salt. Historic use indicates that it is capable of service life well in excess of 60 years providing that exposure conditions are not subject to severe frosts or high concentrations of sulphur dioxide, and that good stone detailing methods are employed to give best protection from surface water ingress. It is estimated that the likely weathering rate of this stone would lie between 1mm to 3mm per 100 years in normal exposure conditions. Perryfield basebed is suitable for internal flooring. Overall, should be suitable for use in most aspects of construction including flooring, load bearing masonry and cladding. A weathering course should be used to increase service life externally.